I am so thankful Cassie trusted me with her wedding flowers. Kathryn at LittlehCreative is so talented and Cassie is stunning in her dress. 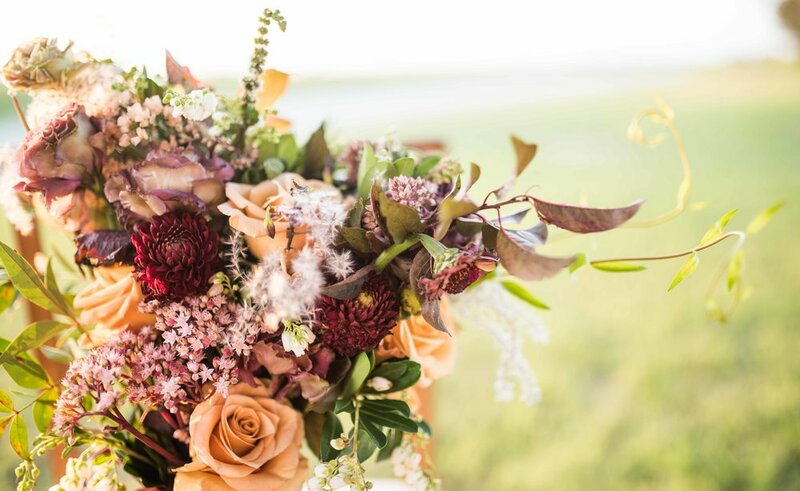 I loved creating this bouquet - the dark dahlias, dark foliage, all the texture elements, and flows honeysuckle showcases my style at it's finest. If you are interested in our floral design services - I would love to hear from you.